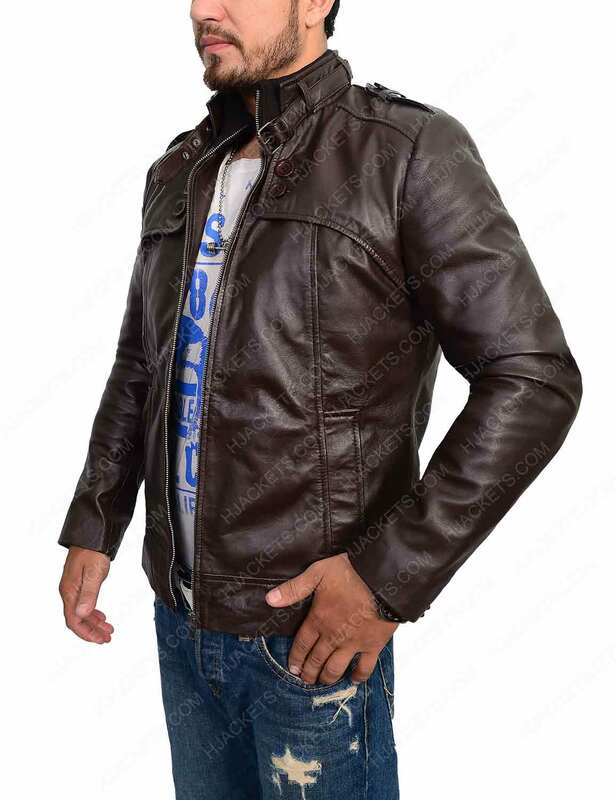 Glare up your outlooks with the exclusively manufactured Dark Brown Slim Fit Jacket that is uniquely tailored with stagnant art and mastery that gives your looks a unique enchanted appearance from rest of all. 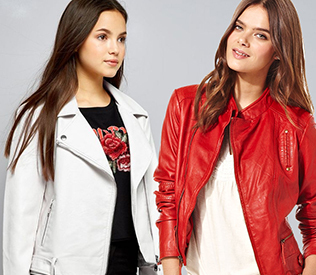 Made with the quality genuine/faux leather material, the outwear is perfectly tailored with stagnant fabrication which makes its elusive presence more enthralling. 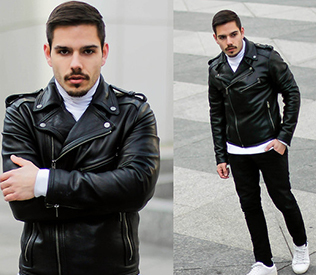 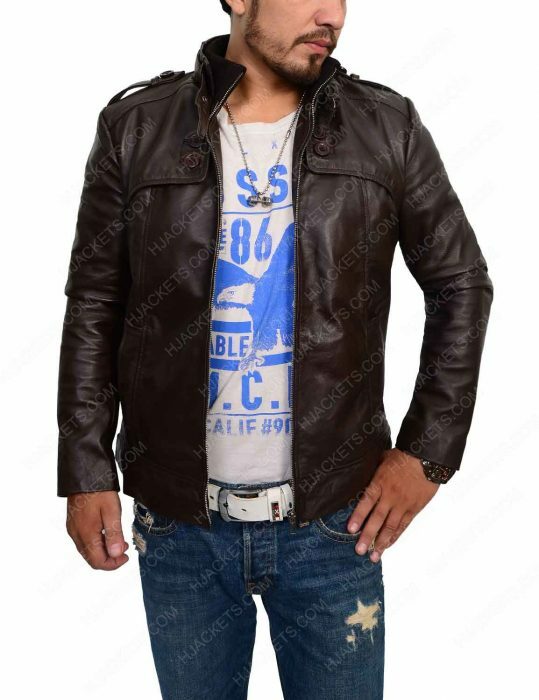 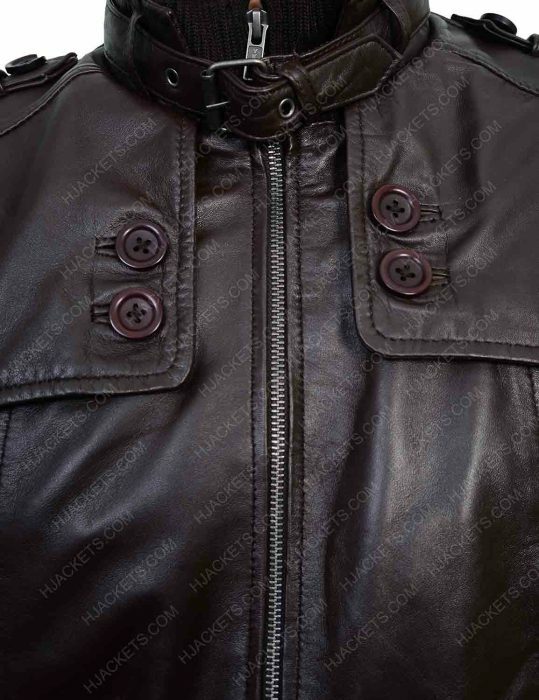 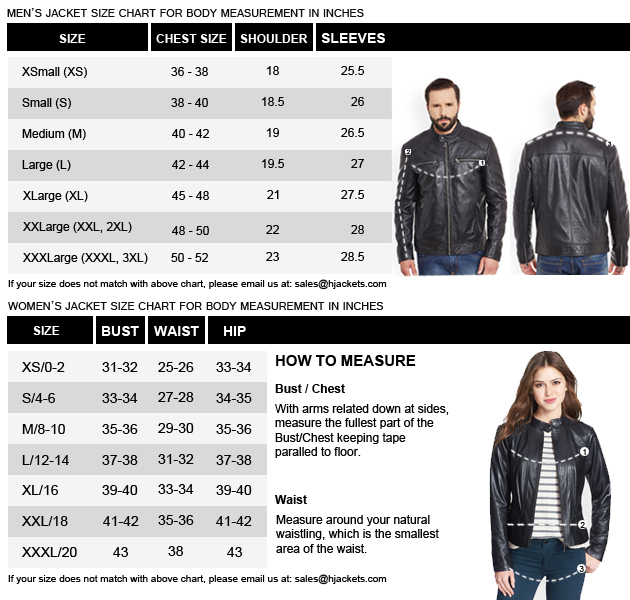 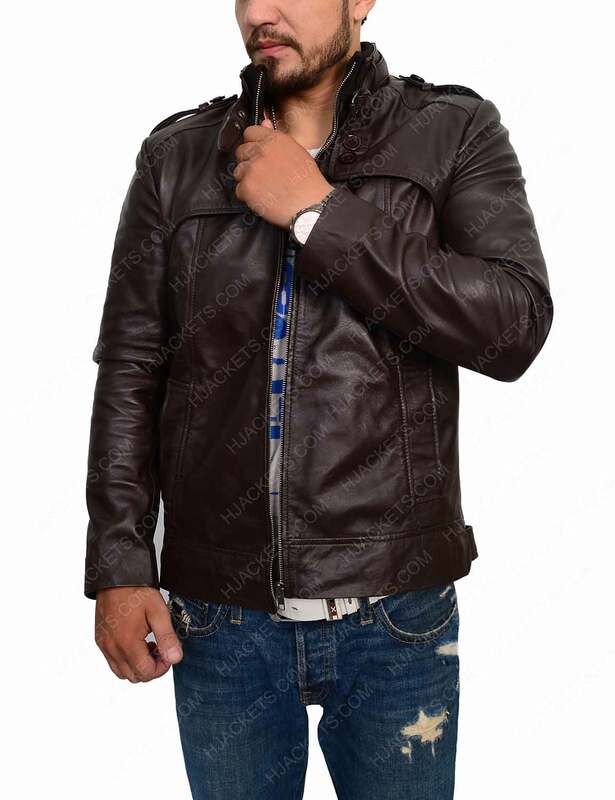 This Slim Fit Dark Brown Mens Jacket has been styled with the unique stand up collar with belted straps, along with full zipper fastening done right beneath it. 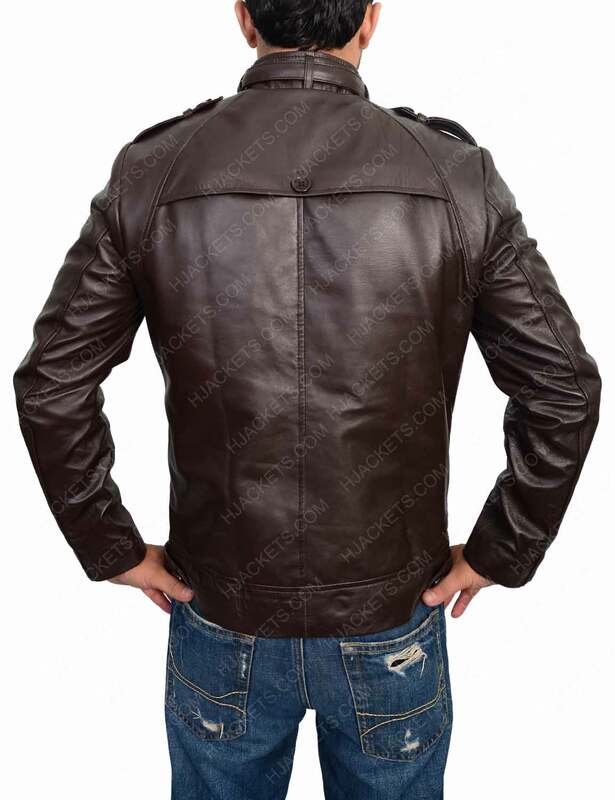 It is available in brown color with fine stitching formation.